APC Overnight Logo is a registered trademark of APC Overnight Limited but essentially used by the The Alternative Parcels Company Limited who trade as APC Overnight. This website is not endorsed or affiliated with APC Overnight. It is used for criticism against them on the basis of a matter of fact, honest opinion and public interest. 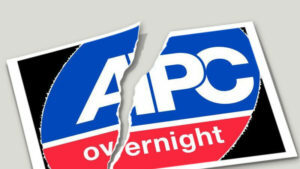 APC Overnight is a courier firm failing to make even the most basic checks to ensure that customers get their goods back. This has meant the loss of extremely personal medical documentation, important legal documents and valuable objects. Even though courier companies apparently have the right to sell off lost parcels they have to make some checks. From the evidence I have supplied it looks like the most basic checks have not been made. 5. Carphone warehouse job applications with passport details. This is by no means an exhaustive list but it gives an indication of the many failures of APC Overnight. Hundreds of hours have been spent sorting through all the stuff. I’ve been trying to track down people & organisations. Why didn’t APC take reasonable steps to do so and return item to them or at the very least handle personal/sensitive information/data appropriately? The main point is that APC Overnight accessed the parcel consignments as part of their reasonable steps as per TIGA (Torts Interference with Goods Act). Consignments comprising of parcels, packages, packets and envelopes and their contents were being accessed by APC Overnight while being transported to their destinations – any information within was therefore being processed. The contents of the consignments can still be data and therefore personal data as defined by the DPA (Data Protection Act). Owners of goods who feel that APC Overnight failed to take reasonable steps to trace back goods to them given the fact that I did, may have a case against APC under legislation known as Wrongful Interference with Goods. More specially – bringing an action for conversion (a civil action for damages for selling another person’s property). Conversion of documents or Conversion by wrongful delivery – wrongfully delivering a person’s goods to some other person so as to deprive the owner of title to them because that other person destroys or further disposes of them i.e. by selling them to me. If APC Overnight open letters, packets and parcel containing paperwork and documents they could have discovered the identity of the sender so they could be returned. Otherwise, they should have been destroyed. By accessing the data that paperwork and documents containing personal data I would consider that APC Overnight was the data controller and by subsequently selling to me are in breach of the data protection act.